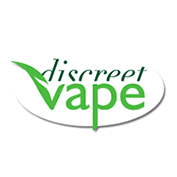 Discreet Vape was founded with the sole aim of producing completely discreet vaporizers for stealthy vaping on the move. Unlike the majority of other vape manufacturers Discreet Vape disguises its units so that they do not resemble any previously known herbal vaporizers in the slightest. The latest model even employs a fan to create a vaporizer with forced-air convection - a world first for discreet Vape. Discreet Vape employs the brilliant idea of basing its design on the commonly seen asthma inhaler. No one will give these inspired designs a second glance in the street, park or other public space. Whether taking the dog for a walk, spending a day out shopping or even at the beach your discretion is guaranteed. One thing's for sure, if you need to be discreet, (and let's face it who doesn't!) then you need a Discreet Vape.